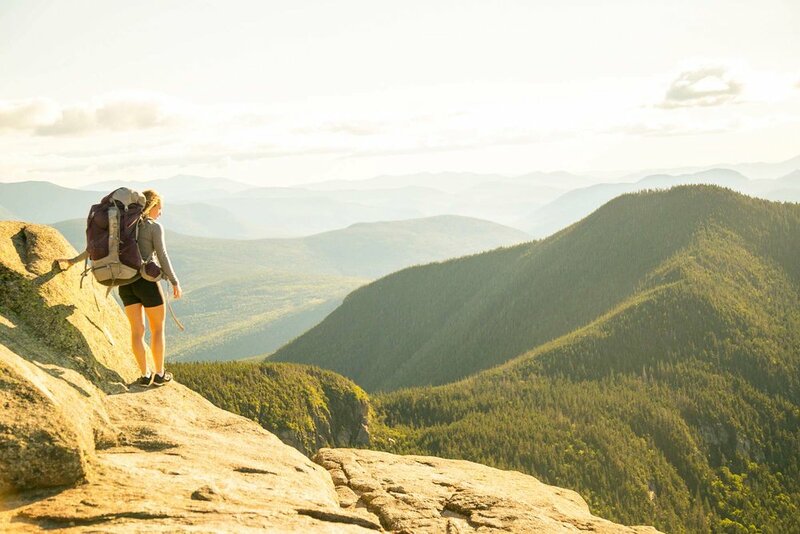 Whether for a quick escape, weekend getaway, or week-long vacation, Waterville Valley Resort offers a wide range of Summer Activities located in beautiful White Mountain National Forest. Family-friendly hiking, biking, boating, ice skating, tennis, golf, and more! Located in Town Square, Helen Rita teaches mind & body therapeutic Thai Yoga as a way to relieve stress and help her clients feel lighter and renewed with the beautiful White Mountains as a backdrop. All group classes are $15/class or adult fitness pass (Adult fitness passes may be purchased at the White Mountain Athletic Club). For Therapeutic Thai Yoga or a Private Yoga Class call Helen at 603-960-1470. Room escape is a live entertainment experience in which a small group of people are ‘locked’ in a themed room and must find clues, solve puzzles, and crack codes to escape in less than 60 minutes. The current room is "The Magician" with more currently under construction. Right next to Town Square you'll find the mountain stream-fed Corcoran's Pond. At Corcoran’s Pond waterfront you’ll find a fleet of over 20 kayaks, pedal boats and canoes are available for rent at the Town Square dock. Rental kayaks are comfortable, stable, easy to paddle, and fun to use. Rental canoes are an excellent choice for easy handling and maneuverability. The ever-popular pedal boats can accommodate up to 2 adults and 3 children, and can be steered by one person, so the whole family can get into the action! We've also added Stand Up Paddle Boards to the list of rentals available for use on Corcoran's Pond! SUP's are perfect for those looking for a little bit more of challenge and new fun way to explore the pond! As always, with Town Square next door, restrooms, refreshing drinks and snacks are just footsteps away! Must be 18+ or accompanied by an adult to complete our waiver. Freedom Pass honored with participating hotels/lodges. While you're at Corcoran’s Pond, enjoy the breathtaking mountain scenery, relax on the sandy beach, and swim in the 6 ½ acre pond, which is fed by Snow’s Brook. Be aware that there is no lifeguard on duty. Waterville Valley Golf Course. Family-friendly. Fun for golfers of all abilities. Celebrating 120 years this summer, Waterville Valley’s historic golf course opened in 1898, making it one of the oldest in New Hampshire. A major renovation in 2005 retained the character and tradition of the 113-year-old course, and created six spectacular new and redesigned holes. The par 31 layout with four par-4 holes provides a challenging golf experience for players of all abilities. For years, the Waterville Valley Tennis Center has been recognized by Tennis Magazine as one of the Top 50 tennis resorts in America, along with being named one of the Top 5 Best Bargains, as well as one of the Top 5 Family Resorts. We have recently been ranked "#25 in the World" by TennisResortsOnline. Since 2001, Tennis Resorts Online has ranked Waterville Valley Tennis as one of the best in the world, along with a #2 ranking for Best Setting, #4 for Kids Programs and #4 for Best Value. *Indoor Tennis Open thru October 23rd. The friendly staff at the Waterville Valley Recreation Department is dedicated to creating recreational experiences that enhance an individual's quality of life, and contribute to the cultural environment here in Waterville Valley. 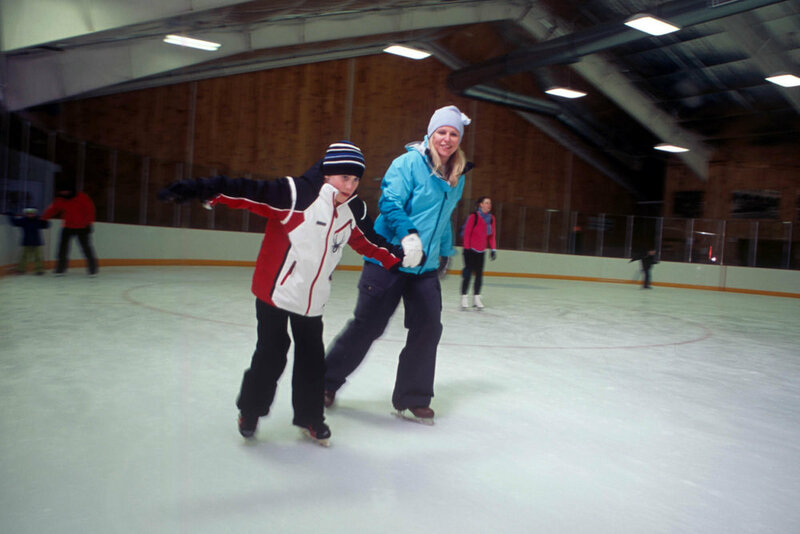 Some seasonal activities include: Open Gym times, Adult programs, Fitness classes, Indoor Rock Climbing Wall, Pickleball, Concerts, Boat Rentals on Corcoran Pond, and a variety of Special Events and Field Trips. Whether someone lives in Waterville Valley full time or part-time, or is planning a vacation here, everyone is sure to enjoy the many recreational opportunities that await. In addition to the organization of daily activities, Waterville Valley Recreation Department holds a Summer Day Camp that runs from June 26 to August 18, 2017. Sessions run Monday through Friday from 9am–4pm. Campers, ages 4–14, participate in a variety of indoor and outdoor activities led by a team of experienced counselors. There are 3 different programs, separated into age groups. Daily Registration for Drop-in campers is 8:45am-9:15am. W.I.N.G.S. : "Waterville Instruction in Nature and Games” is for kids ages 4–6. A typical day includes a variety of organized games, crafts, cooking, outdoor exploration and play. This program offers a variety of activities ideal for active youngsters ~ No nap times here! S.O.A.R. : "Summer Outdoor Adventures in Recreation” is designed for kids ages 7–9. The SOAR program includes a variety of outdoor excursions such as swimming, hiking, canoeing, boating, active games, crafts, indoor climbing wall, and more. A vast amount of time is spent outdoors; ideal for kids that enjoy exploring, playing & having FUN! H.A.W.K.S: New in 2018! Ages 8-9 “Heightened Adventures With Kids” is a brand new camp group with tons to offer! HAWKS will get accustomed to adventuring in and around the valley on foot, boats, bikes, etc... They will participate in indoor rock climbing, group games/activities, cooking lessons, crafts, and much more! Be ready to be active and have fun!!! P.E.A.K. : "Positive Environmental Activities for Kids” is a perfect program for ages 10–11. PEAK adventures explore a variety of natural environments throughout the valley and surrounding areas. Hiking, biking, discovering new swimming holes, indoor climbing, and kayaking are examples of a day-in-the-life as a PEAK’er. Each Wednesday campers will go on a field trip to another location away from Waterville Valley such as Whales Tale, Polar Caves, Candia Springs, Clark’s Trading Post, and Flume Gorge. The Waterville Valley Ice Arena is located at the center of activity adjacent to the Town Square on the shores of Corcoran Pond. The Ice Arena offers numerous public skating and stick and puck sessions throughout the week. Rental skates and skate sharpening services are available. The Arena is home to the Hockey Academy and hosts many youth hockey tournaments and camps. Private ice rentals are available upon request. Open For Summer Season Friday, July 26th through Sunday, August 25th, 2019. Open For Fall/Winter Season Friday, October 11th, 2019 through Sunday March 16th, 2020. Featuring modern, four-season recreational opportunities. 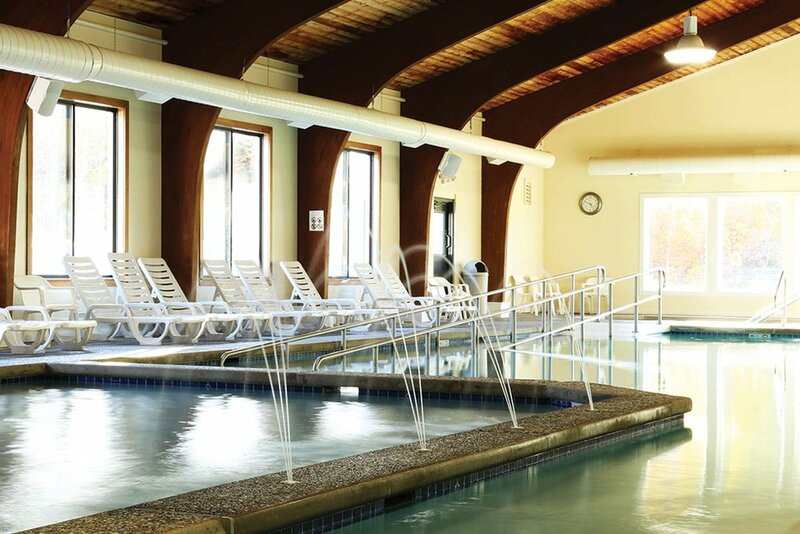 The WMAC is a full-service athletic club that offers indoor and outdoor swimming pools, cardio and weight rooms, indoor tennis, spas, a new indoor pool complex, new sauna and steam rooms, and game room. Over 100 miles of well-marked, maintained trails crisscross the Waterville Valley region. With seven 4,000 foot peaks located within the Valley, hikers of all abilities can find a satisfying trek. From the 4,315 ft. summit of Mount Osceola, the views are fabulous. The three peaks of Tripyramid also offer an outstanding challenge, also with views to match. Those looking for a more relaxed hike will find our network of trails around the valley floor more to their liking. Ranging from cross-country ski trails, to woods roads, to singletrack, the hiking in Waterville Valley allows everyone to enjoy the beauty of the natural landscape. For suggested hikes, trail descriptions, and photos the Waterville Valley Athletic and Improvement Association is a great resource for hikers. The WVAIA Trail Map, available at stores in Waterville Valley Town Square, offers a detailed guide to trails. Check out our new Resort Boards, Disc Golf, Climbing Wall and Bungee Trampoline, Snow's Mountain Chairlift rides, and bike rentals at the Adventure Center! Like the activities in Waterville Valley? With our summer lodging packages, your stay includes a Freedom Pass that allows access to an array of activities for just one low price!